Barefoot Baby Steps: Ow, Ow, Ow, Ooooowwwww! Yesterday was a Rest Day, but some of the guys in the office walk during lunch, so I joined them...for 3 miles, in non-broken in boots. The sore spots that developed on the backs of my heels were just the beginning, it gets better...or should I say "stupider" on my part. Today was a gorgeous day, perfect for a run outdoors. But my Vibrams sit right where those sore spots are, which, by the way are now raw after another day in boots. So, what does a barefoot runner do? She runs barefoot, of course! Vibram-free, I hit the German sidewalks outside my hotel completely barefoot for the first time. Germany is a very clean place, the sidewalks are swept and there isn't much litter, so I knew I wouldn't have to dodge rocks or glass, plus there is a park near my hotel. I didn't do my normal walking warm up, I just walked out the door and started to run...felt good, very aware of my foot strike for obvious reasons, and I went for about a mile, then I knew I was in trouble. My feet hurt! My muscles were fine, but the balls of my feet felt raw...just the balls since my heels did not touch the ground once. And to top it all off, I had to make it back to the hotel. The walk took me about 15 mins and despite the smooth asphalt, I think I may have a blister or two in the morning to balance the sore backs of my heels. 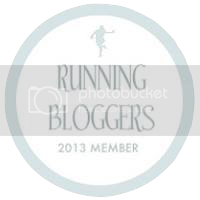 Not a shining moment...in fact, I may have to re-title this blog "How Not to Barefoot Run"!